A review of James Burgh’s Political Disquisitions in the Göttingische Anzeigen von gelehrten Sachen from April 1776 described the author thus: “He is a republican. Granted, he does not want to overthrow the constitution of the state, since it happens to be as it is, but in his opinion England would be much greater, possess more honour, power and happiness if it were a republic”. The book is based on “the Sidneyian doctrines of the nature of government,” which, according to the reviewer, were well known. 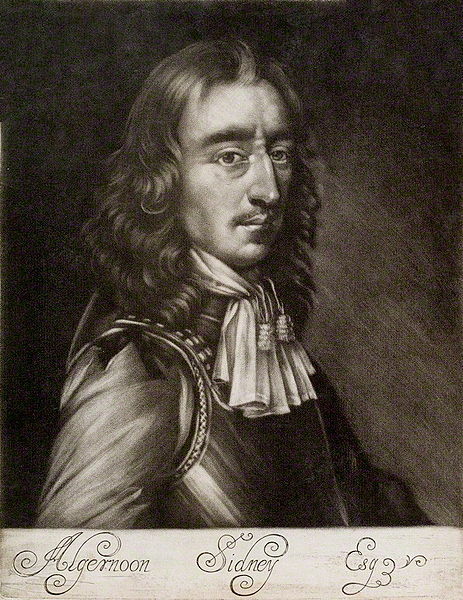 In the contemporary context this meant that the author, Burgh, was highly critical of English ministers of government who sought only to augment the power of the Crown by subverting and bribing parliament. The Lords as well were merely servants of the Crown and completely useless to the state. In contrast, Parliament, the ideal of which was exemplified by the Long Parliament, was the servant of the people, which holds supreme power. The review is of interest to the present project, as well as the scholarship on republicanism in general, in several respects. First, it points to the importance of journals and reviews for conveying knowledge about, and creating an interest in, republican authors and texts. Even when critical a review could not help but explain the ideas and principles of republican texts to its readers. Third, the review offers an explicit definition of what it means to be a republican, thus addressing recent debates over the meaning of the concept of republicanism. While the reviewer acknowledges a concept of a form of republican exclusivism (of a republican as one who would seek “to overthrow the constitution” of a monarchical state), he also argues that in the 18th century to be a republican is compatible with accepting a form of monarchical government, a monarchical republicanism. Further, James Burgh’s book is presented as the application of specific republican, Sidneyian, principles to an 18th-century context, where they may result in a different position. This all suggests that, as Rachel has recently argued, it will be fruitful to treat the term republicanism as covering a range of distinct variations of a language connected by certain family resemblances, resemblances which developed as republican texts and ideas were transmitted across time and national borders. Tracing the reception of English republican texts in 18th and 19th century Germany, in the hands of both sympathetic and critical readers and writers, promises to be an interesting endeavour that will shed important light on the development and use of republican ideas in Continental Europe and on the concept of republicanism. This entry was posted in eighteenth century and tagged Algernon Sidney, Germany, James Burgh, monarchical republicanism, republican. Bookmark the permalink.